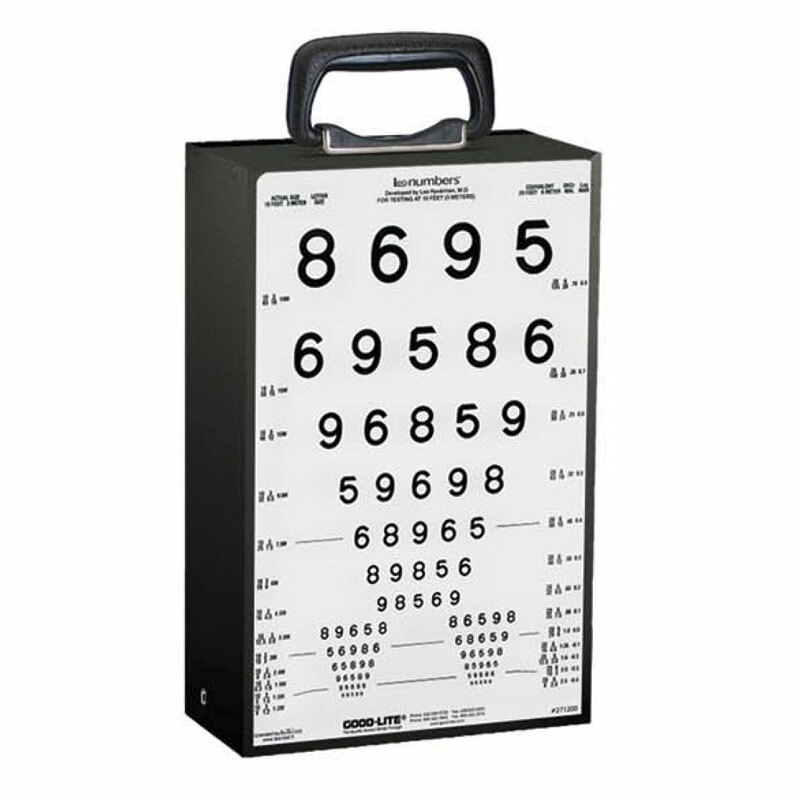 Compatible with all 9" x 14" Sloan charts but are not provided with this unit and must be ordered separately. 9"W x 14"H x 2"D (22.86 cm x 35.56 cm x 5 cm) and weighs only 4.2 lbs (1.9 kg). CE and CSA Listed.